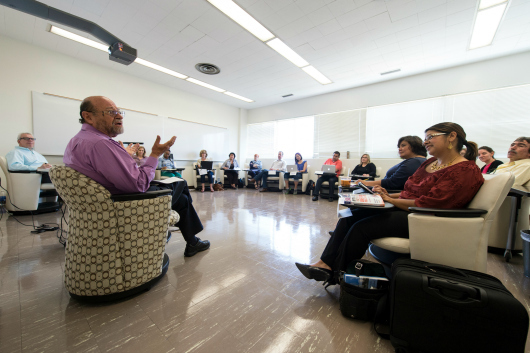 The Connie L. Lurie College of Education, which will host the San Jose site for the California Teachers Summit, is committed to teacher preparation (photo by Robert Bain). Approximately 500 teachers and aspiring teachers, from preschool through high school, will meet on July 31 at San Jose State as part of an unprecedented effort to concurrently assemble 20,000 teachers at 33 locations statewide. Posted by the San Jose Mercury News March 4, 2015. With fresh credentials in hand, enthusiastic and energetic teachers charge into classrooms hoping to change young lives. But in the first year they often end up feeling overwhelmed, exhausted and unprepared to teach and manage classes. While California colleges may dismiss rankings of their programs, proof of success shows up in school superintendents’ recruitment. The Franklin-McKinley School District finds its best recruits in Midwestern universities, Superintendent John Porter said, and also in a San Jose State program that provides a yearlong residency, longer than other schools. “We get superstars out of that program,” said Porter, who believes quality training is critical. 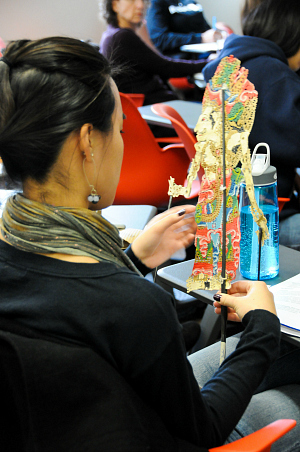 A participant at last year’s Marion Cilker Conference for the Arts in Education (photo by Mary Cheung). The Marion Cilker Conference for the Arts in Education will pair teachers with artists at campus and downtown San Jose art venues on Nov. 21-22. It’s not every day that throngs of school teachers convene in downtown San Jose to launch sticky Gummi Bears through the sky in handmade parachutes. 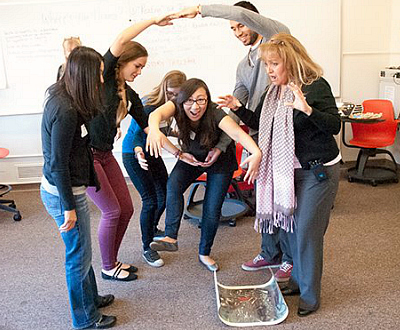 But that’s one of the professional development activities included in this year’s Marion Cilker Conference for the Arts in Education to be held Nov. 21-22 at SJSU and other downtown arts venues. A joint venture of SJSU and the Santa Clara County Office of Education, the event has paired education students and Bay Area teachers with music, dance, theater and visual artists each November for the past five years. This year, the conference is changing it up and bringing teachers to downtown San Jose arts venues for hands-on lessons in how to bring the arts into school classrooms. With tight budgets and more classroom time being devoted to core academics, conference organizers say it is more important than ever to show teachers how art can be used to teach traditional academic subjects. Arts is the first thing that’s cut from schools because of lack of time and limited funding,” said Robin Love, an associate professor at the Lurie College of Education’s Department of Child and Adolescent Development. Love says introducing teachers to a host of different museums also offers them wonderful resources to spice up their lessons and can help arts education thrive. For this design challenge, teachers will be tasked with making parachutes and baskets for Gummi Bear candies and be judged on how long their sticky bears can stay aloft. They will move on to workshops at the Children’s Discovery Museum, the Tech Museum of Innovation, the Museum of Quilts and Textiles and the California Theatre, where the Silicon Valley Symphony will present. Workshops include how to teach math skills through quilting and music, how to use color, texture and sculpture to explore geography, how dance can help teach mapping and how origami can be used to teach visual thinking. Esther Tokihiro, visual and performing arts coordinator of the Santa Clara Office of Education, says the goal in moving the conference out into museums was to help foster relationships between classroom teachers and museum and theater arts educators. Susan Verducci, associate professor in the Department of Humanities at SJSU and one of the conference organizers, says arts help connect students to other cultures and allows them to understand the world better, but that not all teachers or education students have exposure to the arts. The festival is supported by a generous gift from the late Marion Cilker, a graduate of San Jose State with a degree in art and education. Cilker also endowed two full-tuition scholarships for teacher education students who show a commitment to infusing their teaching with the arts. Guest speakers this past summer included internationally acclaimed scholars David Berliner (above) and Gene Glass, co-authors of “50 Myths and Lies That Threaten America’s Public Schools: The Real Crisis in Education” (Karl Nielsen photo). 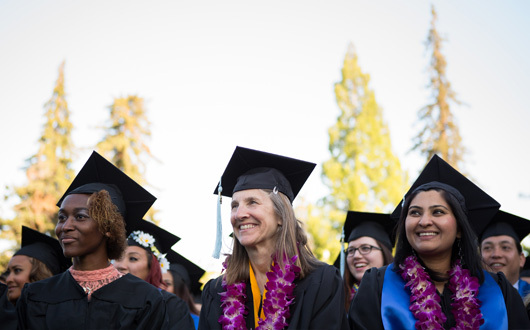 SAN JOSE, CA – Seeking to nurture regional educational leaders from pre-school through high school, San Jose State has initiated a doctoral program in educational leadership, the first independent doctoral program to be offered by the university. The endeavor offers principals, district officials, teacher leaders and non-profit leaders the opportunity to deepen their understanding of the forces shaping their profession so that they may better serve their communities and advance in their careers. 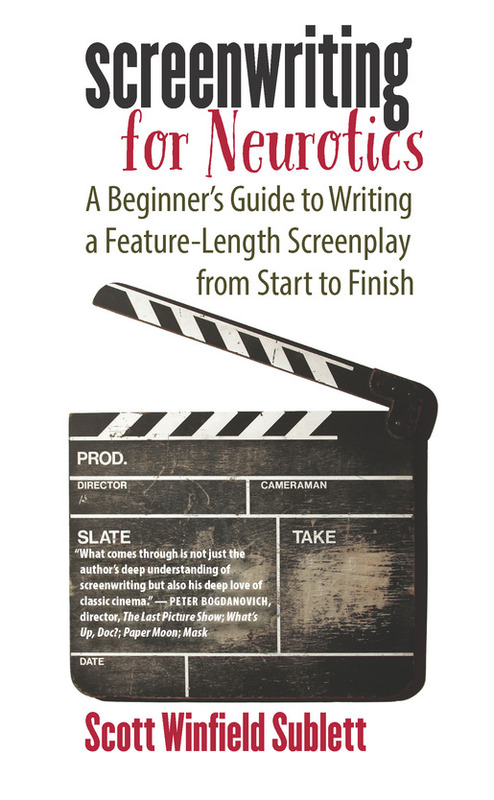 The inaugural Ed.D. class includes principals, assistant principals, district office personnel, and teacher leaders (Karl Nielsen photo). The inaugural class of 16 Ed.D. candidates includes principals, assistant principals, district office personnel, and teacher leaders from a diverse group of schools and districts in the greater San José region. These working professionals will spend three years at San Jose State, taking classes each summer, fall and spring, culminating in a research project and dissertation. The program is now recruiting its second class. The Ed.D. curriculum focuses on case studies and rigorous inquiry in four core areas: leadership and reform, organizational behavior, contexts of leadership and learning, and research methods. Although San Jose State is the 14th California State University campus to offer an Ed.D., SJSU is the system’s only program to include a global studies component, which will expose participants to other nations’ systems, challenges and solutions. The Ed.D. 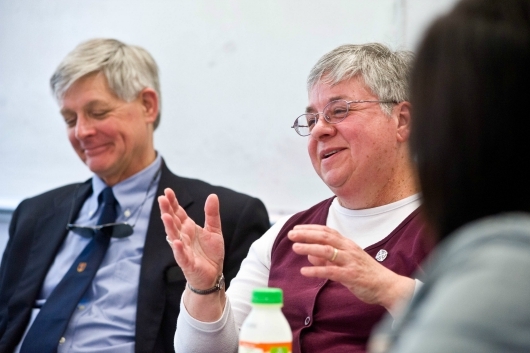 program draws on the diverse expertise of San Jose State’s faculty. The team includes professors and researchers in the fields of engineering, psychology, sociology, ethnic studies, communication studies, global leadership, and urban and regional planning. Of course, at the core of the Ed.D. program is the College of Education’s experienced faculty in educational leadership, counseling, general teacher education, child development, special education, and research methodologies. The program was launched in summer 2014 with lectures by internationally acclaimed scholars David Berliner and Gene Glass, co-authors of “50 Myths and Lies That Threaten America’s Public Schools: The Real Crisis in Education.” Their book, published in March, attempts to methodically debunk myths about the American educational system using logic and data in order to better inform the public and form the basis for sound policy making. The CSU doctoral programs for educational leaders were authorized by the California Legislature in order to respond to the urgent need for well-prepared administrators to lead California’s public schools and community colleges. More than 80 percent of California’s superintendents will be eligible for retirement in the next five years. In Santa Clara County, nearly 1,000 administrators serve 398 schools. The CSU Board of Trustees standardizes tuition for all doctoral programs. SJSU Ed.D. candidates also pay campus-based fees. The annual cost has been estimated at just over $18,000. Lt. Gov. 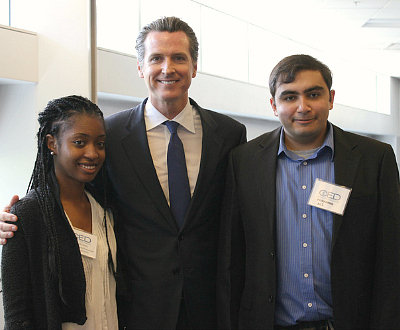 Gavin Newsom gave the keynote address at a Committee for Economic Development event held at King Library (JP Tran photo). 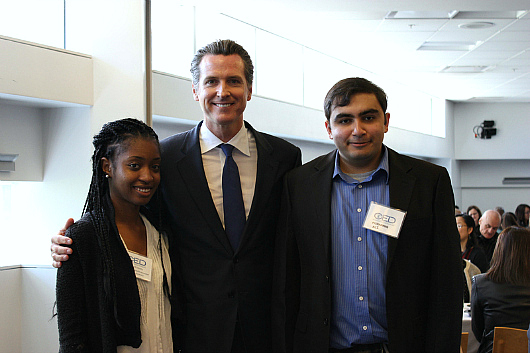 When Gavin Newsom visited San Jose State one year ago, he discussed how public universities must evolve. His March 28 visit was much the same. The Committee for Economic Development hosted the event to discuss its recent report, “Boosting California’s Postsecondary Education Performance.” The study focuses on “broad-access” institutions, “where the vast majority of the workers will be educated,” Petro said. A panel discussion included Lenny Mendonca, Elaine Chin, Jay Banfield and David F. Welch (JP Tran photo). This connected to a question from moderator Lenny Mendonca, director emeritus of McKinsey & Company and a CED trustee to ask: What do CEOs look for when hiring? “The ability to switch from a fixed mindset to a growth mindset, the ability to change, and the ability to participate in a team,” said David F. Welch, co-founder and president of Infinera. Philanthropist Connie L. Lurie will receive an honorary Doctorate of Humane Letters at Commencement (photo courtesy of Connie L. Lurie). 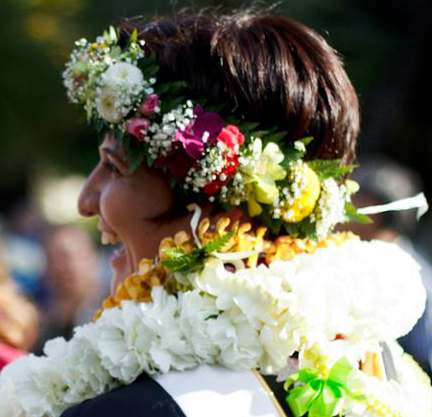 SAN JOSE, CA – SJSU’s 2013 Commencement speaker will be philanthropist and alumna Connie L. Lurie. She will also receive an honorary Doctorate of Humane Letters at the event, which will begin at 9:30 a.m. May 25 in Spartan Stadium. Approximately 8,000 candidates who completed their studies in August 2012, December 2012 and May 2013 will be eligible to participate. “Connie Lurie’s lifetime dedication and exceptional generosity to San Jose State, as well as her visionary philanthropic spirit and positive impact on the Bay Area as a whole, merit these honors,” President Mohammad Qayoumi said. Lurie graduated from San Jose State in 1964 with a bachelor’s degree in elementary education and psychology. She taught in elementary schools on the Monterey Peninsula for six years and later ventured into real estate investment. She was the executive director of Who’s Who International, and served as an admissions counselor for Heald Business College. 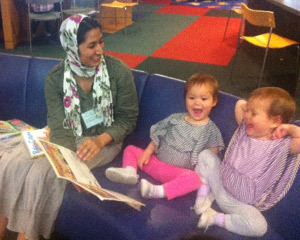 In her heart, Lurie has always been an educator. She established the Guardian Scholars program, which provides support and mentorship to former foster youths at SJSU. 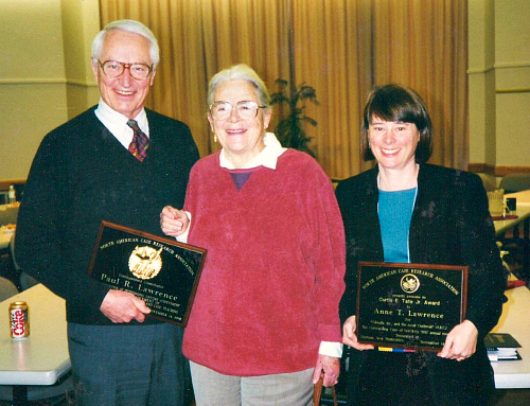 In 1998, she endowed the university’s Lurie Author-in-Residence program. Lurie has been involved in many worthwhile causes throughout the Bay Area and California. She has served on boards for numerous organizations, including Strive for College. 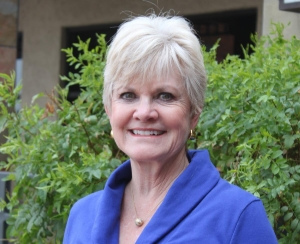 She has served as an advisory trustee for the California State Parks Foundation for more than 30 years. In 2008, Lurie received the Phi Kappa Phi Honor Society Distinguished Alumni Award and the California Attorneys for Criminal Justice’s Citizen Involvement Award. Lurie remains a very active supporter of her alma mater. In 2000, she was the founder of Spartans in the Desert, an annual gathering for SJSU supporters. She also provided funding for the database that formed the backbone for SJSU’s first comprehensive fundraising campaign. 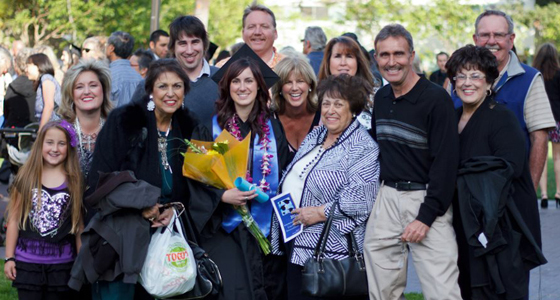 In 2006, SJSU presented Lurie with the Tower Award, the university’s highest honor, and in 2007, the CSU Board of Trustees granted SJSU the naming of the Connie L. Lurie College of Education, in recognition of her visionary service and support, including a $10 million gift. Graduations often bring family members together, and the Department of Communicative Disorders and Sciences Convocation was no exception. Photo by Christina Olivas. A blue-and-yellow candy buffet greeted guests at the Department of Communicative Disorders and Sciences convocation on May 25. Once inside Morris Dailey Auditorium, graduates’ families and friends faced a stage with rows of silver chairs. Soon they would be face to face with their loved ones, who were dressed in caps and gowns. “They are looking good, aren’t they?” said Department Chair Michael Kimbarow of this year’s graduates. One student speaker, master’s degree candidate Jessica Abawag, said she and her fellow classmates endured this journey at SJSU for the same purpose. “We are here to change the lives of others,” she said. A fitting representation of why these Spartans pursued this field was keynote speaker Lateef McLeod, a poet who’s also a grant writer and blogger for the United Cerebral Palsy of the Golden Gate. McLeod, who has cerebral palsy, gave his speech with an iPad app called Proloquo2Go. The app transformed a text file he originally typed on his Macbook into an audio recording with a male human voice. He talked about the different Augmentative and Alternative Communication devices he had used throughout his life and the people who have worked with him. He encouraged the graduates to listen to their future clients. “It is ultimately their communication that you’re facilitating,” McLeod said. His speech concluded with one of his poems, “Wall,” to illustrate the importance of the work that the graduates will soon be doing. The Adult Voice and Fluency Clinic offers activities that apply to clients' daily lives (Communicative Disorders and Sciences photo). For some, the fear of giving a class presentation or interviewing for a job can be overwhelming, especially for those who stutter. 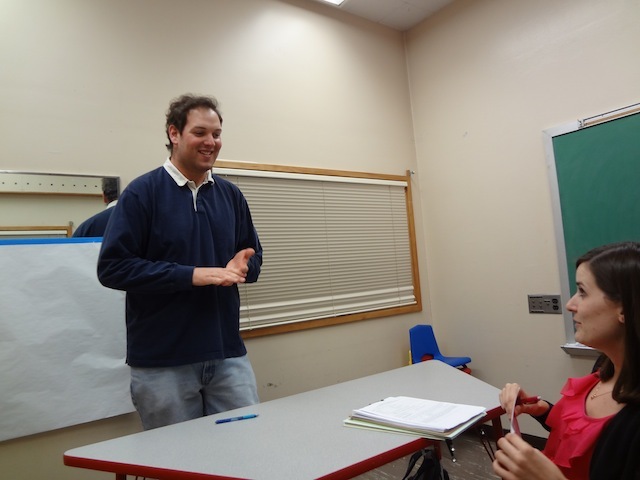 The Department of Communicative Disorders and Sciences has added an Adult Voice and Fluency Clinic to its list of specialty clinics, providing clients, including SJSU students, the opportunity to work together to improve their communication skills. The clinic, within the Kay Armstead Center for Communicative Disorders, helps clients minimize their fear of talking and stuttering, becoming more effective communicators. Clients apply through the Kay Armstead Center, and then are evaluated by student clinicians, who admit them to a weekly group therapy program based on their individual needs. Nick Puzar is one of five students taking part in the program. “The clinic has helped me understand what stuttering is, what parts of stuttering can be treated, how different types of treatment work, and what resources are available to myself and others in the clinic,” Puzar said. Tsai hopes to expand the clinic to serve children and teenagers and wants to gradually implement clinical research that will test therapy and improve efficacy. 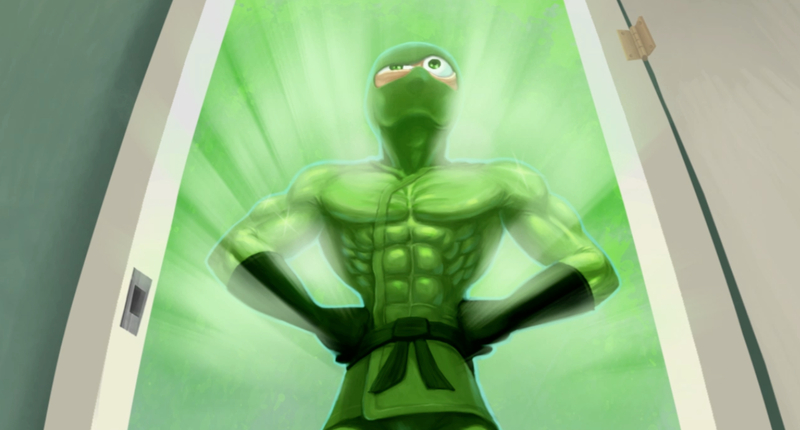 The Green Ninja, a climate-action super hero created at SJSU, continues to draw support. The project has received a $390,000 grant from NASA to support professional development for teachers, and $20,000 from PG&E to pilot an energy reduction contest for Santa Clara County middle schoolers. And “Green Ninja: Footprint Renovation,” one of nearly a dozen short films produced at SJSU, will be screened in March at the San Francisco Green Film Festival. “Not only do we try to provide the education, we are also trying to provide them with the tools to do something about it,” said Associate Professor of Meteorology and Climate Science Eugene Cordero. The Green Ninja team, comprised on faculty members and students from five SJSU colleges, is developing short films, social media tools, and lesson plans. “There are things that everybody in their daily lives can change but they don’t seem to get,” said senior animation/illustration major Michelle Green. 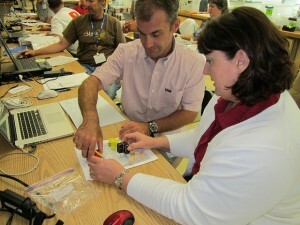 The 30-month NASA grant will help address this by training teachers to use Green Ninja media tools in the classroom. The PG&E contest, debuting next month, will encourage sixth to ninth graders to reduce daily energy consumption by tracking home energy usage using PG&E SmartMeters. “If we can be effective with this contest, maybe we can affect a larger area by providing educational tools that will inspire social change,” Cordero said. The five colleges on the Green Ninja team are Science, Engineering, Education, Social Sciences, and Humanities and the Arts. 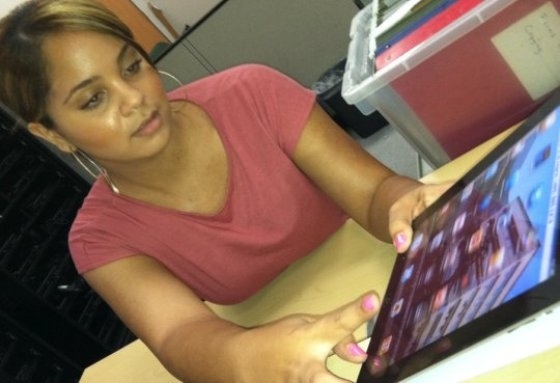 The College of Education is developing lesson plans while the computer engineering and computer science departments are developing an iPhone application that will “keep people off the sidelines and get them engaged in developing solutions to climate change,” Cordero said. The animation/illustration program and TV, radio, film and theater department are working on a new Green Ninja video due out this spring. Environmental studies senior Lina Prada-Báez is one of more than 30 students working on the piece. “I feel very proud of all the progress we have made, and of how we help more people every day learn about the Green Ninja,” Prada-Báez said. The National Education Association projects that by 2025 one in four students in the United States will come from homes where a language other than English is spoken. Collaborating education researchers at San Jose State University, San Francisco State University, and the University of California, Santa Cruz, have received nearly $2 million over five years from the U.S. Department of Education to develop methods of training prospective elementary school teachers how to best teach English to English learners while also teaching grade-level content. David Whitenack, associate professor in the Department of Elementary Education, is the co-principal investigator at SJSU on the English Language and Literacy Integration in Subject Areas (ELLISA) project, which will be implemented and evaluated in the multiple subject teacher preparation programs at SJSU and San Francisco State. The project is based on using effective teaching practices that integrate the teaching of English language and literacy development with the teaching of science, mathematics, and social studies. 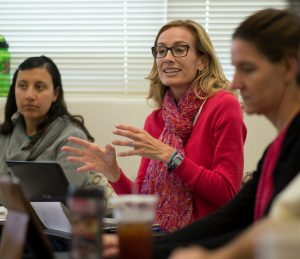 Collaborating SJSU faculty, all in the Department of Elementary Education include Assistant Professors Jolynn Asato and Grinell Smith and Associate Professor Patricia Swanson. A critical issue facing education in the 21st century is to prepare teachers to work with the rapidly increasing population of students with limited English proficiency. The National Education Association projects that by 2025 one in four students in the United States will come from homes where a language other than English is spoken. 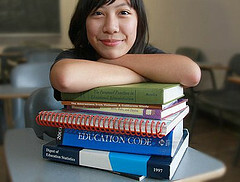 Today, California public schools educate more than one-third of the nation’s English learners. The education of English learners is complex because it involves teaching academic language and literacy to students while also teaching grade-level content such as science, math, and social studies. Studies have shown that English learners can quickly fall behind native speakers in acquiring academic knowledge and language skills. The $1.97 million grant comes from the U.S. Department of Education’s Office of English Language Acquisition National Professional Development Program and provides the opportunity to bring together cutting-edge research on teaching school subjects to English learners with best practice in teacher preparation to develop a model that can be used to prepare teachers to effectively teach math, science, and social studies to English learners in California and across the nation. One of the goals of the ELLISA project is to directly redress the chronic underachievement of English learners in content-area courses so as to better prepare them for undergraduate degrees and careers in science, technology, engineering, and math. The ELLISA consortium includes two partner school districts in San Jose: Alum Rock Union Elementary and Franklin-McKinley, both of which serve large populations of English learners. 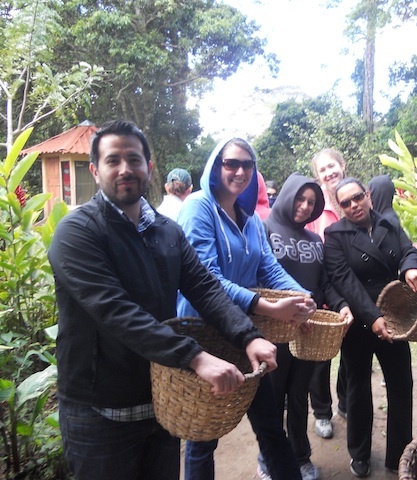 Students learn about coffee production and its relationship to the local, national and global economy at La Bella Tica Coffee Farm in Monteverde, Costa Rica (photo courtesy of Jason Larker). 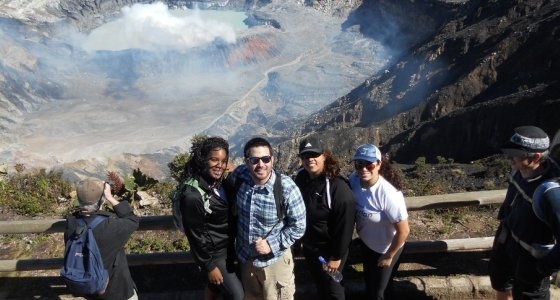 Nineteen graduate students from the College of Education’s Department of Counselor Education participated in a faculty-led trip to Costa Rica January 3- 20, led by Professor Jason Laker and Assistant Professor Dolores Mena. “This program prepared counselors to advance social justice principles and become effective at cross-cultural issues,” Laker said. Students received credit for two counseling classes that focused on service learning and supervised experience. Master’s counseling education student Rebecca Frank appreciated the exposure to a different point of view. 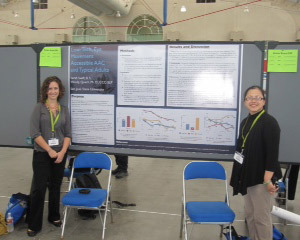 In addition to applying critical thinking and educational theory, students experienced first-hand barriers to learning. They rolled up their sleeves to clear trails, prune education gardens, and build safe sidewalks for K-12 school children. “We learned how to become innovative in maximizing people’s strength in working with clients and embrace new experiences with different lenses,” said student Daisy Villicana. SJSU students partnered with The University for Peace and the Costa Rican Humanitarian Foundation on social service projects while in Costa Rica. In addition to service learning, students experienced Costa Rica’s eco-tourism and triple-bottom line businesses through cultural activities including visits to the Poas Volcano National Park, Costa Rican Entomological Supply (a butterfly farm), and Monteverde Cloud Forest Reserve. Students also had the opportunity to explore on their own and participate in canopying, water rapelling, ziplining, and horseback riding. Click here to see photos from their trip. Approximately 6,800 participants have completed the CalStateTEACH program with candidates participating from each of California's 58 counties. (November 8, 2011) – The California State University’s CalStateTEACH Multiple Subject Credential Program recently received a unanimous recommendation for Full Program Accreditation by the California Commission on Teacher Credentialing (CTC). The CTC’s Committee on Accreditation recommended the accreditation after a thorough review of the CalStateTEACH program by the Bureau of Institutional Reviewers. Established in 1999, CalStateTEACH is a non-traditional program that offers both a student teaching and an intern program for qualified candidates interested in earning their credential without attending traditional college classes. Instead, the curriculum is delivered online. Participants use online materials, E-texts, videos and electronic tablets. 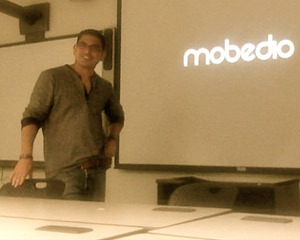 They share ideas through web-based “class discussions,” and get professional feedback through on-site coaching. CalStateTEACH participants enjoy personal guidance from mentor teachers at their school site as well as CSU faculty. They communicate and share ideas with other participants via the course website. Approximately 6,800 participants have completed the CalStateTEACH program with candidates participating from each of California’s 58 counties. 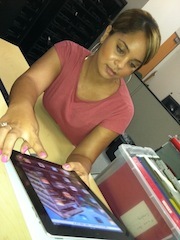 For more information about CalStateTEACH please visit http://www.calstateteach.net/. 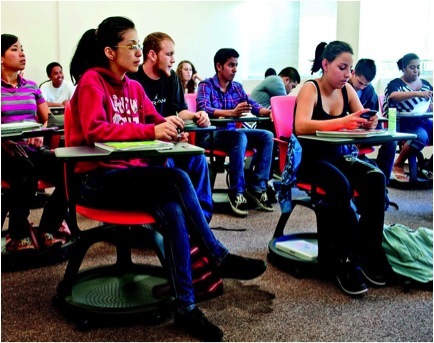 These "node chairs" are what’s new in classroom furniture. Their swivel seats, adjustable work surfaces and rolling bases adapt to match the lesson of the day, and highlight mobility and flexibility (photos by Robert Bain). Wasabi, picasso and chili pepper red are some of the neon chair colors brightening general classrooms in Sweeney and Clark halls this fall. 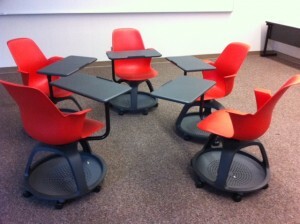 These “node chairs” are what’s new in classroom furniture. Their swivel seats, adjustable work surfaces and rolling bases adapt to match the lesson of the day, and highlight mobility and flexibility. “The manufacturer did exhaustive research on trends in the workplace, in schools and universities, and designed products that help users deal with their issues and to meet those needs,” said One Workplace Learning Environment Specialist Trevor Croghan. 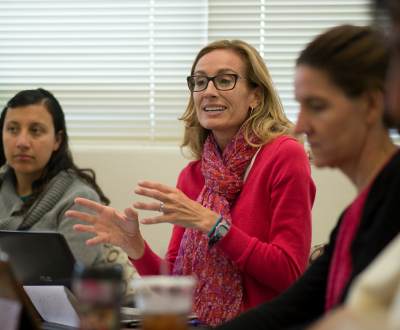 One Workplace and SJSU worked together to develop a classroom that meets the needs of 21st century students and teachers, focusing on the ability to deliver and receive content in several different ways. Node chairs allow users to easily reconfigure the classroom, from lecture-style, to small or large-group settings, to conference-style. Roomy storage space at the base of each chair, and arms designed to hold purses and backpacks, free the aisles of clutter. 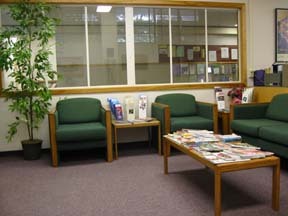 The chairs are able to accommodate right and light-handed students, and are comfortable for people of all sizes. “With the traditional desks, many classmates refuse to crane their necks to look at the person speaking, making the class environment less than welcoming,” said nutrition major Miranda Westfall. 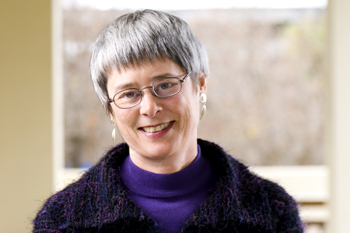 Mary McVey, interim associate dean in the Connie L. Lurie College of Education, an educational psychologist, sees other benefits. “If students are sitting in a dynamic and engaged environment, they feel much better about coming back to class and are more likely to seek out information and learn outside the classroom,” McVey said. The original idea to purchase the node chairs came in fall 2009, when the College of Education was working on creating the Leola Lyth Forward “Smart” Technology Classroom. A grant helped equip the smart classroom, including futuristic seating now in classrooms across campus. At SJSU this summer, high school teachers learn about computer-aided design software and best practices for engaging their students in a hands-on, project-based curriculum. This month, 20 high school teachers from Northern California schools are on campus for their Introduction to Engineering Design “bootcamp,” a two-week intensive training workshop for our Project Lead the Way engineering curriculum. Project Lead the Way is an important foundation for SJSU’s Engineering Pathways to Success program. The public-private initiative seeks to engage Bay Area middle and high school students in science, technology, engineering and mathematics (STEM) education, and empower them to succeed in college engineering programs and engineering careers. More than 2,000 students in 23 Bay Area schools currently participate in the program, with another 20 schools coming on board this fall. The teachers reside in Campus Village housing and spend eight hours a day in the engineering building learning computer-aided design software and best practices for engaging their students in a hands-on, project-based curriculum. Participants include math, science, and career/tech ed teachers; among them are a few who entered the teaching profession after obtaining engineering degrees. San Jose, CA – San Jose State University’s Charles W. Davidson College of Engineering today announced that it has received commitments for $1 million USD in donations from KLA-Tencor Corporation, Xilinx, Inc. and San Francisco Bay Area companies to fund its Engineering Pathways to Success (EPS) program. EPS is a public-private initiative to engage Bay Area middle and high school students in science, technology, engineering and mathematics (STEM) education, and empower them to succeed in college engineering programs and engineering careers. More than 2,000 students in 23 Bay Area schools currently participate in the program. Lead donor KLA-Tencor, a leading provider of process control and yield management solutions, has committed $500,000 to EPS over five years, funded through the company’s charitable organization, the KLA-Tencor Foundation. Lead donor Xilinx, the world’s leading provider of programmable platforms, has committed $250,000 to EPS over five years. Xilinx is donating another $250,000 directly to schools involved in the EPS program, also over five years as part of a program initiated in 2010. Other Bay Area employers, including Aruba Networks, Cisco, Intel and Chevron, have committed a combined $250,000 to EPS. Lam Research, Lockheed Martin and Agilent Technologies have contributed directly to area high schools. 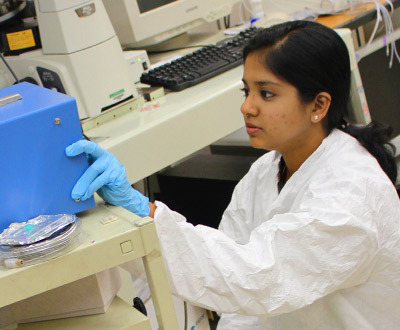 EPS is a multidisciplinary effort within SJSU that includes the College of Science and the College of Education in addition to the College of Engineering. 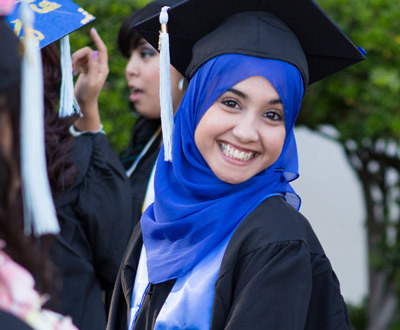 To achieve its goal of increasing the number and diversity of students who successfully complete college engineering degrees, EPS focuses on three main program elements: Helping middle and high schools implement an engineering curriculum; training new and experienced teachers to teach engineering; and providing intensive summer programs for incoming first-year SJSU engineering students to help them transition from high school to college. An important foundation for EPS is a nationally prominent engineering curriculum for middle and high schools called Project Lead the Way (PLTW). PLTW curriculum is integrated with math and science and through project based learning introduces students to basic principles and hands-on design engineering activities in a variety of technical disciplines. Launched in 1996, PLTW today serves more than 350,000 students nationwide in more than 4,000 schools – including 230 in California. The SJSU College of Engineering is the Regional Center for PLTW. Incoming SJSU President Mo Qayoumi, who assumes the post on July 1, 2011, has pledged continued support for EPS. Dr. Qayoumi earned a degree in electrical engineering and worked on engineering projects in Saudi Arabia and the United Arab Emirates before coming to the United States, and has long considered STEM education one of his top priorities as an academic leader. KLA-Tencor Corporation established the KLA-Tencor Foundation to focus more closely on the needs of the communities where the company’s employees and their families live and work. The KLA-Tencor Foundation encourages all KLA-Tencor employees to share their time, talents and resources with organizations and programs that make a difference in their local communities. With a focus on building relationships with education, health and wellness and social service providers, the KLA-Tencor Foundation aims to inspire individual philanthropy while establishing and maintaining community support programs. Specifically, the KLA-Tencor Foundation seeks to support educational programs and institutions (with an emphasis on STEM – Science, Technology, Engineering and Math), health and wellness programs and providers, as well as local community human needs organizations. Programs supported vary on a global and local scale, and include community initiatives through four key programs, including cash grants, in-kind donations, volunteer time, and matching gifts. Additional information. Xilinx is the world’s leading provider of programmable platforms. More information. Project Lead The Way, Inc., a nonprofit organization with 501(c)(3) tax-exempt status, is the leading provider of rigorous and innovative STEM education curricular programs used in schools. PLTW’s comprehensive curriculum has been collaboratively designed by PLTW teachers, university educators, engineering and biomedical professionals, and school administrators to promote critical thinking, creativity, innovation and real-world problem solving skills in students. The hands-on, project-based program engages students on multiple levels, exposes them to areas of study that they typically do not pursue, and provides them with a foundation and proven path to college and career success. More than 350,000 students in nearly 4,000 schools in 50 states plus Washington, D.C., are currently taking PLTW courses. More information. The Charles W. Davidson College of Engineering at San José State University, the largest provider of engineers to Silicon Valley companies, has over 4,000 students enrolled in its undergraduate and graduate programs. 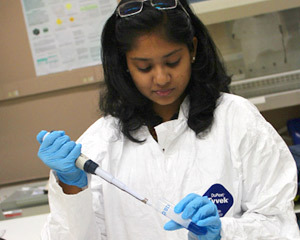 The college offers engineering degrees in aerospace, chemical, computer, electrical, materials, mechanical, civil and environmental, industrial and systems, and aviation and technology. SJSU’s engineering program was ranked 12th nationally among public master’s-level programs in U.S. News & World Report’s annual survey of “America’s Best Colleges 2011.” More information. San Jose State – Silicon Valley’s largest institution of higher learning with 29,000 students and 3,190 employees – is part of the California State University system. SJSU’s 154-acre downtown campus anchors the nation’s 10th largest city. More information. 2009 data from kidsdata.org; California Post-Secondary Education Commission; based on national averages compiled by American Society for Engineering Education; National Center for Education Statistics, NCES 2009-161. Students who study Science, Technology, Engineering, and Mathematics (STEM) in postsecondary education, Washington, DC: U.S Department of Education, Institute for Education Sciences. (Bureau of Labor Statistics, 2011; U.S. Census Bureau, 2005-2009).